Civic Reborn VTI Oriel 2006 model in excellent condition. Neat and Clean interior and exterior. Original documents and all tokens cleared to date. Just buy and drive. Excellent Condition, Original Colour all over the metallic body. Maintained and used according to book. Alloy rims. Uninstalled CNG cylinder and installed Kit available. Islamabad Number. Original book. Price non-negotiable. Only serious buyers. 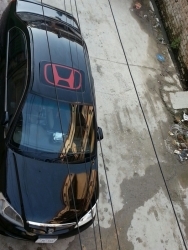 Its a first owner well maintained everything is in working condition no work required just buy and drive..
1 number plate missing Only 2 pcs touchup not accident , New lather seat cover install , New battery install , Original poineer screen install H.I.D high power install Remote retech mirror system install , No more work Alhumduillah each n all perfect Only serious Byers contact me please ..! Thankyou never mind ???? Will be sold to nearest offer. Well Maintained and in Genuine condition. Original book is available as well. 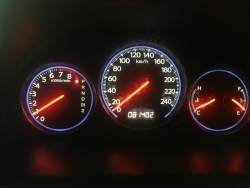 Need to sell the car urgently. No paint touchups. Sealed and powerful engine. Chilled AC Driven on petrol throughout. I don't use my car on CNG but kit is installed and all is working perfectly. Chaska Party Keep Away. No Foolish or Exchange Offers. Only serious buyers can contact me. 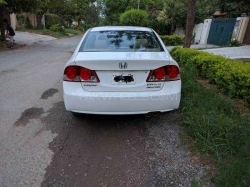 - Honda Civic VTi Oriel 2005 Model White Color Islamabad Registered. 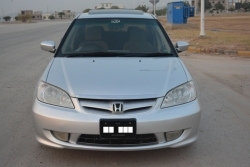 - Original Smart Card Regd, Original Number Plates, Token Paid. - One hand used by an ARMY OFFICER. - New Tyre. - Sunroof, Original Color. - Chill Ac Soundless Suspension! 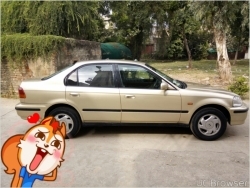 - Neat & clean car, Smooth drive, Well Maintained. - Genuine seat and covers. (Everything in car is genuine coy fitted). - Eagle Eye Shape. - Just buy and drive. No exchange offers. Only serious buyers to contact please. No brokers. 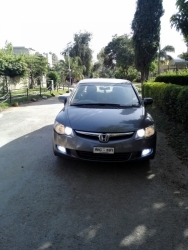 Honda civic 1.8 vti oriel 2007 model ,2008 register , 3rd owner , islambad num,sunroof, dvd touch panal , back camera , genuine alloyrims dunlop tryes ,orignal num plates ,orignal key ,family use car , serious buyer contact me ,price is negotiable on spot . 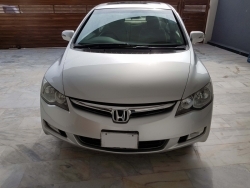 Honda civic 1.8 vti oriel 2007 model ,2008 register , 3rd owner , islambad num,manaul,white colour,sunroof, dvd touch panal , back camera , genuine alloyrims dunlop tryes ,orignal num plates ,orignal key ,family use car , serious buyer contact me ,price is negotiable on spot . Inside out fully original. Authorized dealership maintained. 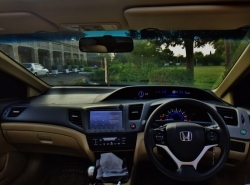 Complete service details available and can be verified through Honda Classic Islamabad. Just like a Zero Meter car with original seat covers and platic covered by factory as it is. Original Book is available was purchased on cash therefore no bank or any other entity involved solely a first owner car. No work required, no touching, no paint job and no accident Alhamdullillah.. Buy and drive. 90% driven on high octane i only use other fuel when hi-octane is not available. Engine & interior condition is 10/10 just buy and drive guaranteed. 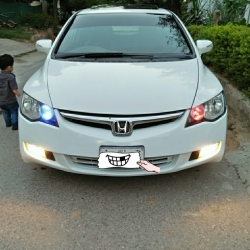 Fog lights and HID on high beam is installed. No other customization being made. 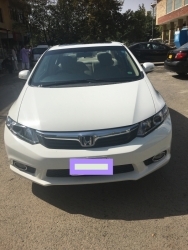 I would request serious buyers specially Honda Lovers to contact and discuss to seal the deal. . Will be sold to nearest offer. I had my car inspected by Pak Wheels car sure service and have awarded with 97% overall after the inspection. 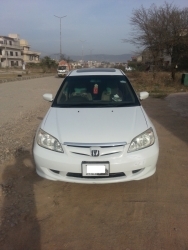 Honda civic 2005. in immaculate condition. 1.6 oriel. sunroof. full option with manual transmission. CNG/Petrol. chilled A.C touch screen panel. 1200W powerful woofer. 1800W powerful amplifier. everything is in perfect working condition. only serious buyers can contact. no brokers. 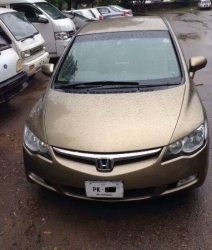 Car is in excellent condition .used by senior government officer only in Islamabad . Civic 2003 VTi Oriel Manual Transmission (05 gears) 1.6 Liter Petrol Engine Power Windows Power Side Mirrors Power Sun Roof Factory ABS Brakes Honda original Alloy Rims Factory fitted CNG Kit Leather seats The car is in excellent running condition on both PETROL and CNG Interior of the car is grey and black with quality leather seats and interior is clean and in mint condition with original parts The car body is in good condition, no major accident and the paint is dark blue color, car is well maintained Only serious buyers send text message for immediate sale, NO BROKERS PLEASE! !